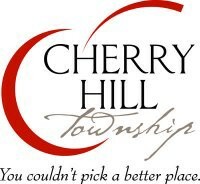 The Ombudsman for Disabled Citizens and the Cherry Hill Alliance on Alcohol and Drug Abuse will host Cherry Hill’s Free Conference for Parents of Children with Special Needs. This annual event will be held at the Carman Tilelli Community Center on Saturday, March 12 from 8:30 a.m. to 1:30 p.m. This conference, open to any parents or professionals, is a valuable opportunity for everyone to gather resources and information about a variety of topics affecting the special needs child. This year’s topics and presenters include: “Plan for the Financial Future of a Child with Special Needs: Critical Information to Ensure the Financial Security of a Child with Special Needs” by Thomas D. Begley Jr., esquire, CELA; “Mobilize Your Family: Develop a Fire Escape Plan” by Tammy DeLucca, public education officer, Cherry Hill Fire Department; “Go From Bedlam to Brilliance: Develop Your IOP (Individualized Organizing Plan)” by Barbara Berman, certified professional organizer and “Create a Positive Relationship with your Child: Strategies for Working Together to Develop Confidence and Competence” by Valerie Furlong and Jill Greenberg Kail, ombudsman for disable citizens in Cherry Hill. In addition, representatives from state and local agencies will be onsite and available to assist families. A free continental breakfast will also be provided and is sponsored by Ellisburg McDonald’s and Wegmans. For more information, or to register, please contact the ombudsman at (856) 488–7868 or Ombudsman@chtownship.com.